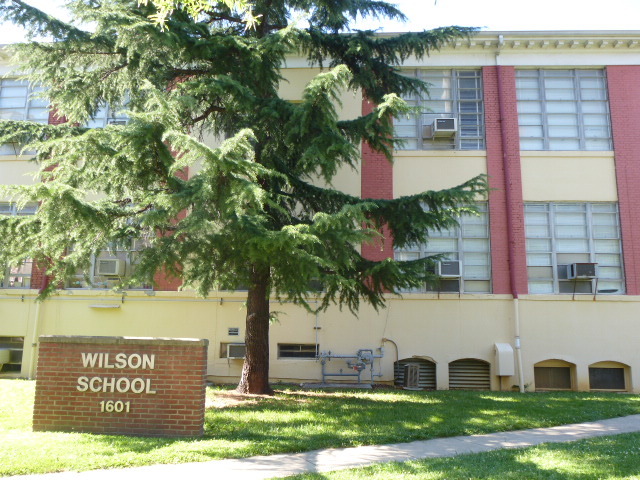 In the 1980s through the mid 1990s, the Wilson School building did not host a school. But the playfield was maintained, and it was heavily used evenings and weekends by the community. By 1997, the school building was back in use, as a ‘swing space’ for elementary schools undergoing renovation. The playfield however, was rendered unusable by trailers. Over the last decade, Arlington Public Schools (APS) and Arlington County Government have proposed several initiatives to densely develop the Wilson School property. North Rosslyn Civic Association has opposed such proposals with a consistent message that the Wilson Site should be used for education and community service. We’ve been fortunate to receive strong support for that position from RAFOM (the Civic Association south of Wilson Blvd. ), and from a number of civic-minded individuals and organizations throughout Arlington. Today, the school is underutilized. It hosts only two programs, the delightful Mongolian School* program on Saturdays, and a once a year ‘holiday fiesta’ for our low-income families. Otherwise the Wilson School is unavailable for adult education or other community use. Also, the playfield is largely unusable. APS proposes to build a new school on the property and to provide a functional playing field. Detail is lacking, but below I provide my early take on what we, the nearby residents, should regard as positive about this proposal; what we should regard as objectionable; and what we need answers about. The most positive feature of the new APS proposal is that it uses the Wilson site appropriately, for education. Parents of students will form a powerful lobby to assure that developed and recreation space are optimized. The community would gain meeting space, adult education space, and both outdoor and indoor recreation space. For way way too long we’ve not had a playfield in our community. Here’s a chance to get one. 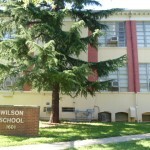 The Wilson School is an historic building. A new building will likely possess little of the charm, and little if any of the history. What happens to our pedestrian path, sitting area, small playground, and basketball court? It’s not clear. I understand that the future of these existing green/recreation areas will be discussed in a separate process, the West Rosslyn Area Planning Study (WRAPS). It might be a good idea to ask that study to examine whether the Wilson Firestation should be replaced at its current location, or whether it might be better to use that land for additional playspace for the very large school planned next door. The new school will, inevitably, schedule some activities outside normal school hours. Which school resources (gym, meeting space, educational space, playfield) will be available for community use, and when will they be available? It would also be a good idea to decide if we, the nearby residents, want the playfield to be available for use after dark.